The Department is very pleased to sponsor and participate in a number of exciting student activities and events. Significantly, we support and sponsor the Northwestern Art Review. The Northwestern Art Review is an academic organization based at Northwestern University that seeks to promote the study of the visual arts at the undergraduate level. By publishing a biannual journal of art scholarship and critique, the Northwestern Art Review strives to provide a forum for greater exchange among an expanding community of students from campuses across the country who devote their time to studying, thinking and writing about art. 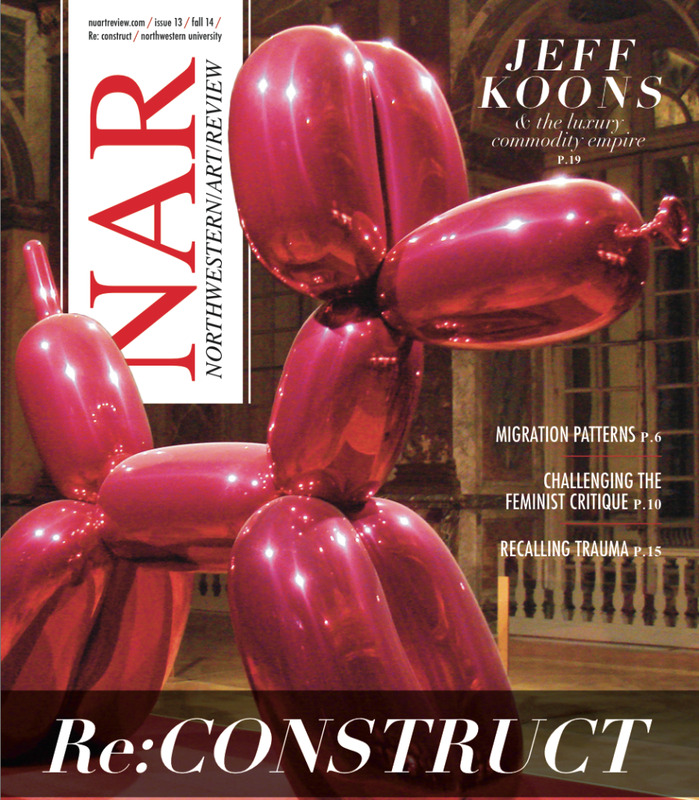 The staff and editorial board of NAR also organizes events in conjunction with the Art Theory & Practice Department and is a great resource for anyone who wants to be involved in the community of either department. See the NU Art Review website. Departmental events and announcements are also announced on Facebook. Look for us as "NU Art History."